The Dutch Rijksmuseum invited the philosopher Alain de Botton to put his book Art as Therapy into practice (Trouw, 29 April). In his approach De Botton reduces the art works to tools that are supposedly able to solve the problems of the visitors. Museum director Wim Pijbes is known for attracting high-profile names. Like Damien Hirst with his infamous diamond skull For the Love of God. Or Anselm Kiefer, who made an installation in relation to Rembrandt’s Night Watch. The cooperation with De Botton seems to be right up this alley. A world-famous name, but not without controversy. His philosophy peers rather tend to look down on him and he is called the Andre Rieu and Dr. Phil of philosophy. But the fact remains that he knows how to address a large audience with his accessible and positively tuned books. Still, there is a remarkable difference with the projects of Hirst and Kiefer. In De Botton’s project, art works purely have a functional value and substantial discussion on the content of art is lacking. According to the philosopher, museums do not use their full potential in offering comfort and solutions in a world filled with possible problems and misfortune. It is therefore commendable that the Rijksmuseum accepted the challenge to open up its collection for someone who holds such an opinion. But De Botton did not receive permission to actually move and reinstall art works, so his visions are to be read on signs in the permanent display. De Botton’s intervention could have been so much more surprising if he had been able to actually make physical combinations of art objects. Obviously The Night Watch and the Milkmaid stay in place, but there would have been plenty other material to work with. De Botton’s point of departure is quite interesting. Through art, humans can get to know and understand themselves better, and possibly finds answers to their questions in life. But then De Botton connects all kinds of self-help ideas to specific art works. This way, these become a means to achieve a particular goal. However, the essence of art is exactly that it is not an instrument, but rather an unguided missile. Meanings change throughout time, values are continuously reevaluated and the ways people feel engaged with particular art works is highly unpredictable. The most problematic feature in the way De Botton works is that in advance he has a specific result in mind. If one thing becomes clear during my research at the arts festival Musica Sacra Maastricht, it is that no concert or art works has the same effect on everyone. During the same performance, one can have a profound insight of wisdom, while another feels ashamed and would prefer to run away. That is why the instrumental approach, in which art works receive one directional meanings, simply does not work. De Botton bases his ideas not on the ways people actually look for meaning making in their lives, but on how he thinks they should. With guaranteed visitor numbers it would have been laudable if Pijbes would have set up yet another artistically challenging project. People attend the museum anyway, so why not confront them with powerful artistic content. 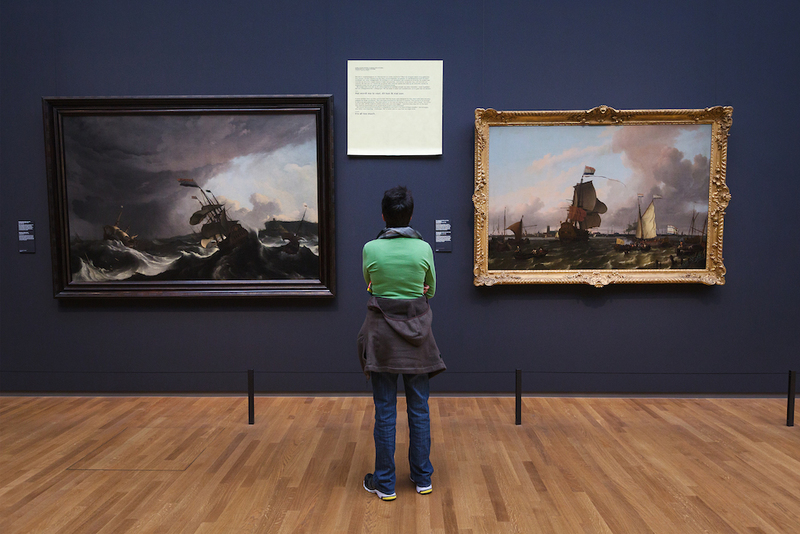 The actual experience of art is what can provide added value for the museum visitor. And it might even have a therapeutic effect afterwards, but then an effect that is not decided upon by De Botton beforehand. Lieke Wijnia is a PhD candidate at Tilburg University, Tilburg School of Humanities, Department of Culture Studies, and researches sacrality in contemporary culture.